The “bulletins” that make up each issue are first published online as PDFs at www.servinglibrary.org over a six-month period, then assembled, printed and distributed separately in Europe (by Sternberg Press with Motto Distribution) and in the U.S.A. (by Dexter Sinister). Each collection makes up a semester's worth of loosely-themed material, with its constituent PDFs grouped together on the website. Issue #1 was intended as an expansive statement of intent, broadly concerned with Libraries, Media, and Time (though not necessarily in that order); Issue #2 emerged from a course we ran at The Banff Center in the Summer of 2011 titled “From the Toolbox of a Serving Library,” and mostly circles around Education; while Issue #3 doubles as a catalog-of-sorts to "Ecstatic Alphabets / Heaps of Language," a group exhibition at MoMA (New York) from May 6 to August 27, 2012, and is preoccupied with the more social aspects of Typography. Issue #4 circles around psychedelia – a lo-fi, black-and-white flavor that emerged from the exhibition Dexter Bang Sinister at the Kunsthal Charlottenborg in Copenhagen. 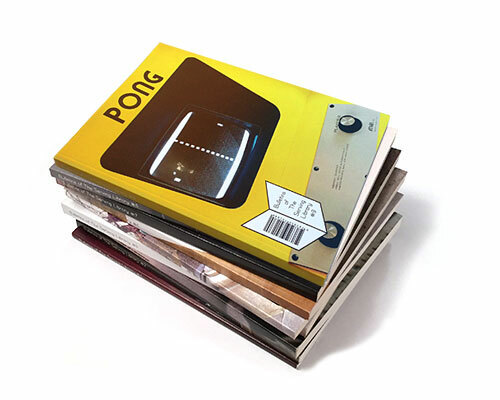 Next, Issue #5 passes like an arrow through the past, present, and future of Germany; Issue #6 circles around the outskirts of Fashion; Issue #7 is about Numbers; Issue #8 is smaller than large but larger than small: Medium; and (in a breaking update), Issue #9 tackles all manner of sports and games. Issue #10 is both a *TEST* and a recalibration. Issue #11 is both *in* and *about* COLOR and Issue #12 presents perspectives, both literal and figurative. New bulletins are posted to this website as and when they are ready. If you’d like to be told when a new season is complete, and the printed version available, you can join our mailing list. *Meanwhile* Single issues of the printed journal may be purchased online through our website as well as 2- or 12-year sustaining subscriptions.